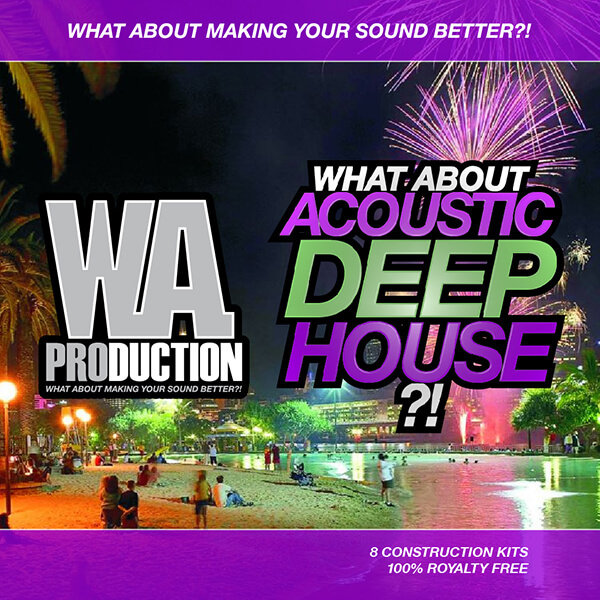 ‘What About: Acoustic Deep House’ is a fresh new product from W.A. Production bringing you eight melodic Deep House Construction Kits for the Summer. These songs blend acoustic instruments such as saxophones, ethnic flutes, bells and many others with electronic Deep House sounds. In detail you’ll find a variety of Deep House synths, drum loops, FX loops, percussion loops and much more, together with MIDI files for producers who like a little more control. The acoustic instruments used in these projects are perfectly mixed together with up-to-date electronic deep sounds; a sound made hugely popular by releases on the Spinnin Deep label.